Casa Cavia is an elegant home that brings together a restaurant, publishing house, booksellers and florist’s. Built in 1927 by Norwegian architect and artist Alejandro Christophersen, it was carefully restored to become what it is today: a return to the delights of the Belle Epoque in Buenos Aires in constant dialogue with the present. A meeting place of architecture, books, food and flowers. Lupe García, creative director, has sought out the finest Argentine talent and turned them into Casa Cavia’s gracious hosts: Ana Mosqueda (editor-in-chief of Ampersand publishing house), Julieta Caruso (head chef of the La Cocina crew) Camila Gassiebayle (director of Blumm Flower Co.) and Stephania Kallos ( architect-in-charge of the original restoration of the house). Five women bringing together the worlds of food, books, flowers and design. A meeting place of arts and artisans, where creativity is cultivated. A place to set aside one’s daily routines in favor of pleasure and contemplation. 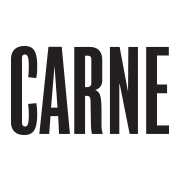 Carne is an initiative which sprang from Mauro Colagreco’s decision to go back to his roots (not only his native land but also the essence of his cuisine) and share the culinary experience gained throughout his years abroad. To do so, he takes the universally loved hamburger and seeks to make the best one ever. Mauro Colagreco is the most highly acclaimed Argentine chef in the world. Mirazur, his restaurant, holds two Michelin stars and is currently N° 4 in the ranking of the The World’s 50 Best Restaurants. A club, in the middle of the city, for tennis and events. El Abierto Tenis is a top-level sports club with no membership required. Is a meeting place for both amateurs and professionals, with activities for everyone in the family. With Hernán Gumy at the helm, El Abierto Tenis was designed to make our tennis philosophy a reality: tennis is a lifetime sport. We offer different types of coaching and teaching, adapted to every level and each set of goals and objectives. El Abierto Tenis is not only for professionals, but also for young amateurs families, and everyone who loves tennis. El Abierto Eventos is a place with beautiful gardens and green spaces in the middle of city, with the cuisine of Pablo Massey and options for contracting the leading events professionals to curate, design and bring your event to life. At El Abierto Eventos, inside and outside spaces flow together to become the perfect setting for each celebration. A place to enjoy the out-of-doors with family, friends and co-workers. La Panadería de Pablo is a true Porteño restaurant with a Mediterranean approach in its cooking techniques. La Panadería has always based its offerings on local products of superior quality. Pablo Massey takes the best of Porteño culture and revitalizes it with world cuisine, giving our traditions a modern, cosmopolitan edge. Fresh vegetables, prime beef, fresh- and salt-water fish. Our bread and pasta is always homemade and our menu is always seasonal. Pablo Massey’s private dining experience, Piso Tres, combines design, technology and intimacy for every kind of event. A contemporary place to dine in the historic district of Buenos Aires, Piso Tres is intensely vibrant both day and night. We offer a unique way to celebrate with the cuisine of Pablo Massey. At MEZCLA, we come from many different backgrounds and environments. Together we create and run gastronomic endeavors. We work within a collaborative system: cooks, designers, businesspeople, actors, communicators, landscape designers, artisans and many more. We are all unique pieces in a puzzle which is enriched by our differences in personality and profession. This synergy produces a result that is always more than the sum of its individual parts: one plus one equals three. Our spaces tell stories through the cuisine, the architecture, the arts and people that inhabit them. We are well aware of the importance of profitability in developing sustainable enterprises. With this premise as our starting point, we offer a career in gastronomy aimed at continuous excellence. We believe in building a professional, interdisciplinary team that will pay attention to every detail that goes into our work each day. The common denominator of all of our kitchens is the deep respect for the products that we use. To do this, we prioritize relationships with local producers and suppliers and stake our success on developing the best of the local market. As a film producer, Lupe approaches her projects the same way that she does a film production. Just as she would put together a production team, Lupe seeks out individuals with diverse backgrounds to join forces around a shared vision. In all of her endeavors she combines two worlds: the principles of business administration and the creative freedom to design value-added initiatives. She partners with multidisciplinary teams in innovative projects to create venues that transcend the traditional restaurant industry, combining design and cuisine as a means of communication, a way to tell a story. Her background as a gastronomic creative director has taught her that the secret to success is discovering, building and sustaining a strong core identity to ground and guide each new initiative. As CEO of Transfármaco, Juan Carlos headed and grew a top logistics firm for over 20 years in the market. He then felt he could focus his talents on other, more creative fields, such as gastronomy and leisure. His portfolio today includes El Abierto, Casa Cavia, Piso Tres and Carne, where, like an orchestra conductor, he creates and supervises creative working groups with the proficiency gained in his years as a business leader. Always open to new ideas, he has also produced a new version of La Biblia de Vox Dei, from the viewpoint of Juanse, as if to demonstrate that talent and innovation are not limited to only one field when you want to change the world. Born in Buenos Aires, Argentina, in 1962, he decided at a young age that his training would come from all over the world. He studied and worked in France, Spain, Australia and Italy, where he encountered his defining principles. In the secrets of Mediterranean, Tuscan and Florentine cooking he found his own professional identity. Back in his home country of Argentina, he took on what would become almost a decade of joint ventures with Francis Mallmann. Pablo studied and worked with Mallmann on many projects, including the opening of restaurants such as Patagonia. Pablo, a traveler at heart, continued visiting different part of the world to draw inspiration from their cultures and flavors: Canada, the U.S., Spain, France, Singapore, Thailand, New Zealand and Australia, among others. He also worked in consulting and designed menus for major international companies, was guest chef to dozens of celebrities and forged a unique profile in the media. This has largely been due to his abilities as a teacher, educating a new generation of chefs in the indispensible combination of study and on-the-job training. Julieta Caruso, a young chef from Bariloche, worked at Mugaritz for nine years. She began as an intern, moved on to become Station Chef, Sous-chef, and finally Head Chef for two years. She also spent a year traveling and working in Asia: Japan, Korea, the Philippines, Singapore and India where she describes an experience of “starting over.” At the end of her travels she returned to Mugaritz to join the team responsible for managing the organization and logistics of the outreach department which provides advisory services, gives courses and presents papers, offers four hands dinners and much more. The restoration of Casa Cavia was carried out by the firm of KallosTurin, founded in 2003 by architects Stephania Kallos and Abigail Turin. KallowTurin is an international design firm with offices in London and San Francisco. The firm provides full architecture, interior and furniture-design services. Past and current projects include high-end single family homes and unique residential developments as well as office, restaurant and retail projects. In 2010 KallosTurin was awarded an International Award from the Royal Institute of British Architects for its design of the Villalagos Residences in Uruguay. Turin and Kallos met in London, while the two were working at David Chipperfield Architects. A graphic designer, Horacio Gallo designed many of the covers of landmark albums in the history of Argentine rock and roll (Piano Bar, de Charly García, Bares y Fondas, de Los Fabulosos Cadillacs.) He has also worked in scenography and lighting design as well as advertising. His wide-ranging career took him to the restaurant industry and today he is a leading voice in the creation of new venues: La Panadería de Pablo, Piso Tres and Carne were designed under his direction. Other restaurants under his signature style include Tegui, Almacén Fifí and the redesign of Olsen (2012). The cocktail menu of La Panadería de Pablo was designed by Inés de los Santos. Always on the cutting edge, Ines is a well-known presence in the local bartending scene and is ever willing to take on new challenges. After training with Julio Celso, she began cultivating her art at a young age. She has made her mark at the leading bars in Buenos Aires in a world that was until then very male-dominated. Lucas López Dávalos has worked in Argentina’s best hotels, such as the Alvear Palace and Faena Hotel. In 2013 he was at the helm of the bar at Isabel Bar. He also travelled to cities including Miami, San Juan, Puerto Rico, New York, Berlin, Amsterdam and Rome, to learn the secrets of their cocktail bars. He is part of a new generation of entrepreneurial bartenders in Buenos Aires and designs projects for himself and others. At Casa Cavia his cocktail menu is inspired by the favorite drinks of a variety of literary authors. At just 17 Rodrigo began his studies at IAG and at 18, began work as a prep cook. After four years at IAG he took on various internships: at the Hotel LlaoLlao, at Mauro Colagreco’s Mirazur in France, and in many restaurant openings in Palermo. Later he began working as Station Chef at the Park Hyatt Hotel and in 2015 won second place in the national competition Bocused’Or. Rodigo won the competition “Dueños de la cocina” on Telefé tv in 2016. He is currently head chef at La Panadería de Pablo in Olivos. A champion of Great Baristas, Daniel believes that a barista doesn’t just make a good cup of coffee, but of develops a language. Daniel was born in Lima, Peru, where he studied Gastronomy and Tourism at Cenfotur. He also specialized in 20th Century bartending at the Universidad del Cocktail. In 2007 he came to Buenos Aires, Argentina, and in 2009 joined the team at MEZCLA. First as the barista at La Panadería de Pablo, and then, starting in 2015 at Casa Cavia. That same year he expanded his background by studying at the Speciality Coffee Association of Europe and in 2016 won first place in the competition “Demand good coffee" of the Four Seasons Hotel.